Two founding members of the legendary jazz collective the Art Ensemble of Chicago, both veteran multi-instrumentalists, swap rare live solo sets and perform together as a duo. 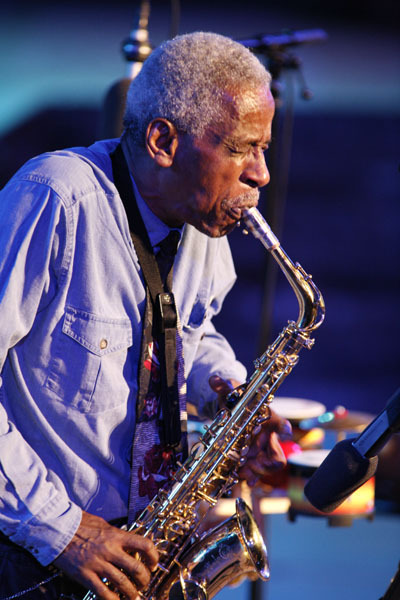 Roscoe Mitchell is the rare jazz musician who also moves comfortably within the realm of contemporary classical music. 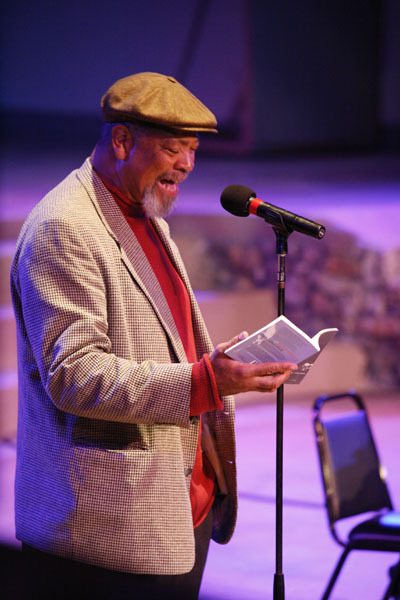 Mitchell’s improvisations exercise extraordinary discipline and intellectual rigor. He’s at once a patient and impulsive improviser, prone to alternating episodes of order and chaos, clarity and complexity. Mitchell is a technically superb — if idiosyncratic — saxophonist. His tone on alto and soprano tends to be edgy and brittle. 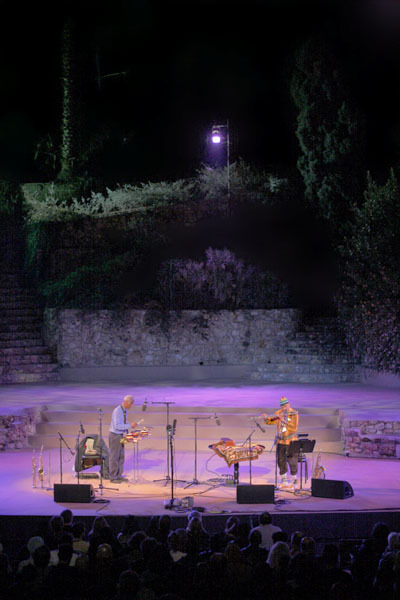 At his most lyrical, Mitchell’s saxophone lines exploit the instrument’s strength as an interval-making machine; his improvised melodies often bear similarity to works by the classical composer Morton Feldman, though Mitchell’s music is more overtly emotional. At his most energetic, Mitchell takes advantage of the saxophone’s timbral flexibility and the horn’s natural tendencies, which allow a player to play fast, scalar lines. Whether playing soft or loud, slow or fast, Mitchell’s playing is invariably suffused with passion and intensity. Mitchell played saxophone and clarinet as a teenager. While stationed in Germany as a member of the Army, Mitchell played in a band with tenor saxophone innovator Albert Ayler. Upon returning to the U.S. in 1961, Mitchell played bop with a group of Wilson Junior College students which included bassist Malachi Favors and saxophonists Joseph Jarman, Henry Threadgill, and Anthony Braxton. Mitchell began listening to the recordings of Ornette Coleman and John Coltrane. He studied with pianist/composer Muhal Richard Abrams. In 1962, he began playing in Abrams’ newly organized Experimental Band, a rehearsal group which explored many of the contemporary alternatives to conventional jazz improvisation and composition. In 1965, he became one of the first members of the Association for the Advancement of Creative Musicians (AACM), a nonprofit organization established by Abrams, pianist Jodie Christian, drummer Steve McCall, and composer Phil Cohran. The AACM were devoted to the same principles as the Experimental Band. In 1966, Mitchell’s sextet (with trumpeter Lester Bowie, tenor saxophonist Kalaparusha Maurice McIntyre, bassist Favors, trombonist Lester Lashley, and drummer Alvin Fiedler) became the first AACM group to record. 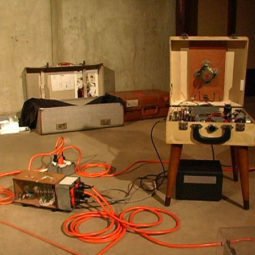 Abstract in concept and execution, the album, Sound (Delmark), was an in-depth examination of the interaction between sound and silence, utilizing such unorthodox devices as spontaneous collective improvisation, toy instruments, and non-musical noise. By 1967, the Roscoe Mitchell Art Ensemble consisted of the leader, Favors, trumpeter Lester Bowie, and drummer Phillip Wilson. That combination did not record; Wilson was replaced by Jarman, and in 1969 the group traveled to Europe. The sojourn was very successful. The band — renamed the Art Ensemble of Chicago — recorded extensively, particularly in France. The resulting albums formed the initial basis of their reputation. Mitchell played briefly in St. Louis upon returning to the United States in 1971. He then resettled in Chicago. Around 1974 he established the Creative Arts Collective. Based in East Lansing, MI, the group was similar in purpose to the AACM. 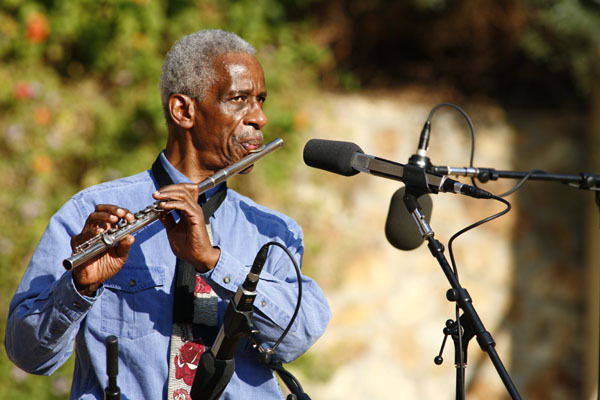 The ’70s found Mitchell expanding on his solo saxophone concept, working with his AACM cohorts in various combinations and performing with the Art Ensemble. The latter group became possibly the most highly acclaimed jazz band of the next two decades, winning critics’ polls with regularity. In the ’80s and ’90s, Mitchell also led the Sound Ensemble, who included members of his Creative Arts Collective. 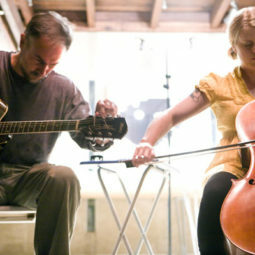 In the ’90s, Mitchell branched out even more, collaborating more frequently with such classical composer/performers as Pauline Oliveros and Thomas Buckner. As an improvising composer, Mitchell’s use of unusual sonorities and his embrace of quiet sounds helped define an entire jazz subgenre. 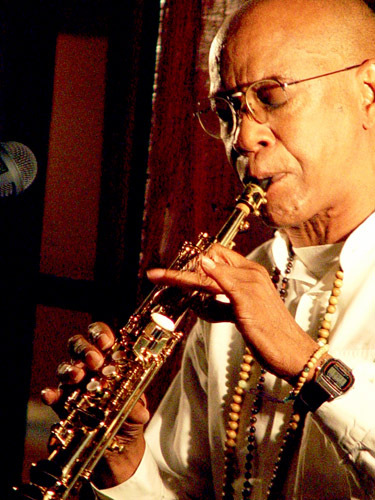 Joseph Jarman is cofounder of Chicago’s famed AACM (Association for the Advancement of Creative Musicians) founded in 1965 and a member of the Art Ensemble of Chicago from 1969 to 1993. 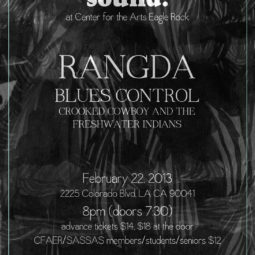 He has performed, toured and recorded in all parts of the Western world as well as in Japan and Eastern Europe. 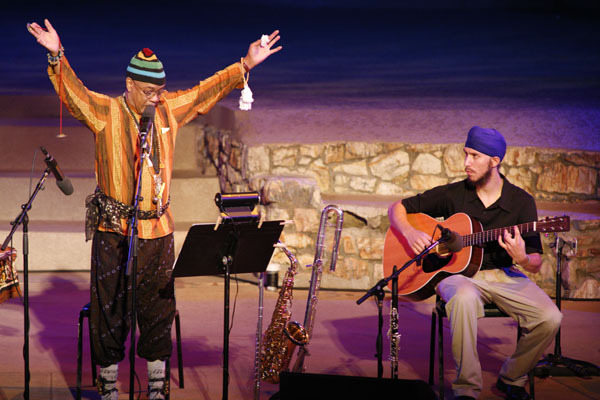 In 2001 he was invited by the Mayor of Chicago as an honored guest composer and performer, and to the Dogen Country in Mali by invitation of the French Consulate for a special project of music and art with Dogen artists and Western Artists (Leroy Jenkins, Thomas Buckner, and Alain Kirili). Best known as a saxophonist, Mr. Jarman plays all the woodwinds and many percussion instruments, including vibes, marimba, balophone, and an array of bells, gongs and little instruments. Mr. Jarman has also worked extensively in Music/theater and is largely responsible for its development as a means of expression in new music. As a writer and poet, Joseph Jarman has published in Black Scholar, Dada Artist, New World and other books and magazines. 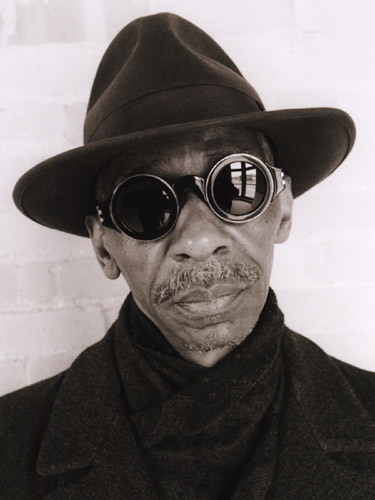 He has also written the liner notes for many Art Ensemble of Chicago recordings. Mr. Jarman studied music at the Chicago Conservatory of Music and Chicago Teachers College. He has been awarded numerous fellowships and grants, including several NEA grants, New York State Council grants for composition. In 1984 he received an interacts grant with Jessica Hagdorn, Blondell Cummings and John Woo for The Art of War. He also had a grant in 1999 from the British Arts Council. Mr. Jarman has received numerous first place awards from Downbeat Critics Polls. He is a member of the National Jazz Educators, Composers Forum, and Jazz Institute of Chicago (Life member). Mr. Jarman is an honorary lifetime member of the Chicago Jazz Society and is an honorary citizen of the city of Atlanta, GA and Madison, Wisconsin. In 1990 Mr. Jarman was ordained a Jodo Shinshu Buddhist Priest and also holds the rank of Godan (5th degree) black belt in the martial art of Aikido. He now directs the Jikishinkan Aikido Dojo and Brooklyn Buddhist Association. Mr. Jarman’s most recent recordings include Pachinko Dream track 10 on Music @ Arts Records; Return of the Lost Tribe – Delmark Records; Out of the Mist – Ocean records; and Lifetime Visions for the Magnificent Human – Bopbuda Music.